Happy Earth Day from all of us at the Washington Beverage Association. As an industry we are committed to environmental stewardship – from our service projects in the local community to eco-friendly packaging and our water usage. To find out more about our industry-wide water usage, check out our Facebook and Twitter pages or click here. United States to include parts of Washington, Idaho and Oregon and to acquire cold-fill production facilities in Bellevue, Wash., near Seattle, and in Wilsonville, Ore., near Portland. Coca-Cola, USA reaching definitive agreements. The parties are committed to working together to implement a smooth transition with minimal disruption for customers, consumers and system associates. Financial terms are not being disclosed. The Coca-Cola Company (NYSE: KO) is the world’s largest beverage company, refreshing consumers with more than 500 sparkling and still brands. Led by Coca-Cola, one of the world’s most valuable and recognizable brands, our Company’s portfolio features 20 billion-dollar brands including Diet Coke, Fanta, Sprite, Coca-Cola Zero, vitaminwater, Powerade, Minute Maid, Simply, Georgia and Del Valle. Globally, we are the No. 1 provider of sparkling beverages, ready-to-drink coffees, and juices and juice drinks. 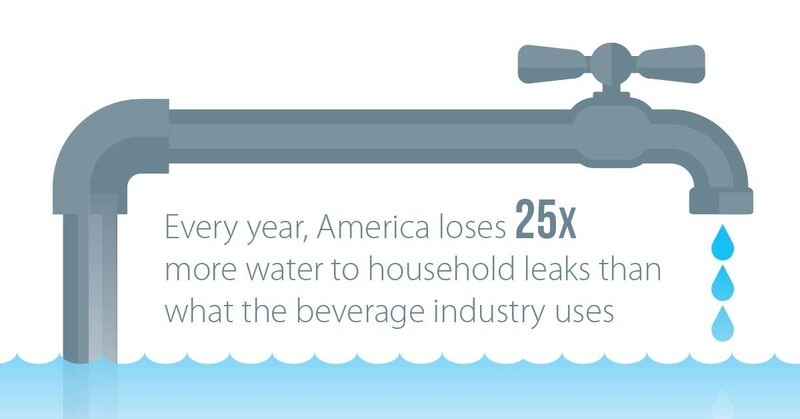 Through the world’s largest beverage distribution system, consumers in more than 200 countries enjoy our beverages at a rate of 1.9 billion servings a day. 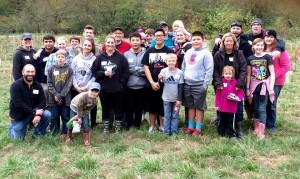 With an enduring commitment to building sustainable communities, our Company is focused on initiatives that reduce our environmental footprint, support active, healthy living, create a safe, inclusive work environment for our associates, and enhance the economic development of the communities where we operate. Together with our bottling partners, we rank among the world’s top 10 private employers with more than 700,000 system associates. For more information, visit Coca-Cola Journey at www.cocacolacompany.com, follow us on Twitter at twitter.com/CocaColaCo, visit our blog, Coca-Cola Unbottled, at www.cocacolablog.com or find us on LinkedIn at www.linkedin.com/company/the-coca-cola-company. PLANO, Texas, Feb. 12, 2016— Dr Pepper Snapple Group today announced it will work with industry, government and community partners to achieve a U.S. beverage container recycling rate of 60 percent by 2030. As part of this commitment, the company is entering into a new partnership and continuing another to improve access to recycling across the country. DPS joins 10 other companies in the Closed Loop Fund, which was established in 2014 as a social impact investment fund. Over the next 10 years, the fund will invest $100 million via zero-interest loans to cities and below market loans to companies for recycling infrastructure to prove the market for single-stream expansion and modernization by maximizing recycling profitability. Since its launch in 2013, the Dr Pepper Snapple Group/Keep America Beautiful Park Recycling Bin Grant partnership has supplied more than 2,500 recycling bins to expand access to recycling away from home while helping beautify a variety of park settings, including neighborhood and larger regional parks, beaches, athletic fields and walking trails. Over the next three years, through the new agreement, DPS and Keep America Beautiful have set a goal to add 4,000 more bins. DPS’s participation in the Closed Loop Fund and its work with Keep America Beautiful expand on its efforts to reduce the amount of packaging material that winds up in landfills. Through package lightweighting initiatives implemented since 2007, DPS has removed more than 75 million lbs. of plastic from the waste stream. In addition, the company recycles more than 85 percent of the solid waste generated by its manufacturing operations and is working to increase the rate through continuous improvement. Dr Pepper Snapple Group (NYSE: DPS) is a leading producer of flavored beverages in North America and the Caribbean. Our success is fueled by more than 50 brands that are synonymous with refreshment, fun and flavor. We have 6 of the top 10 non‐cola soft drinks, and 13 of our 14 leading brands are No. 1 or No. 2 in their flavor categories. In addition to our flagship Dr Pepper and Snapple brands, our portfolio includes 7UP, A&W, Canada Dry, Clamato, Crush, Hawaiian Punch, Mott’s, Mr & Mrs T mixers, Peñafiel, Rose’s, Schweppes, Squirt and Sunkist soda. 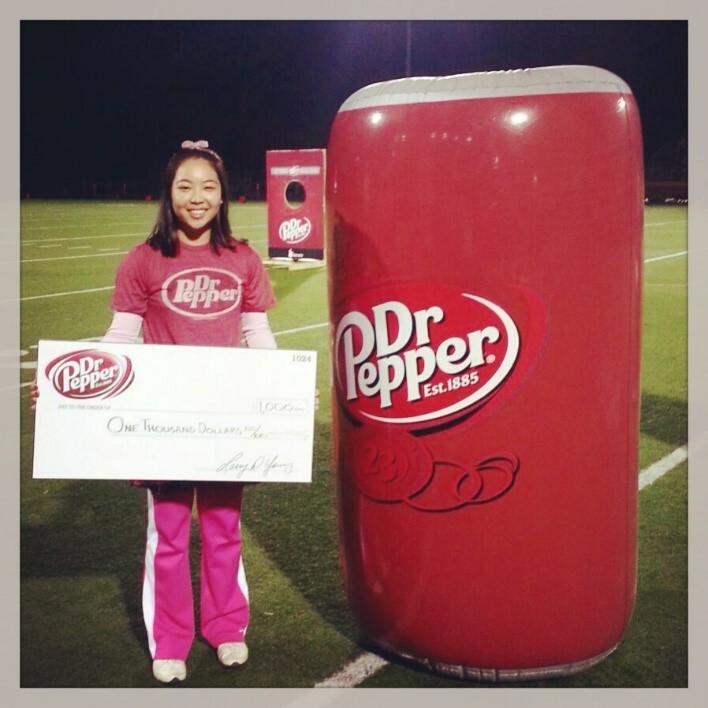 To learn more about our iconic brands and Plano, Texas‐based company, please visit DrPepperSnapple.com. For our latest news and updates, follow us at Facebook.com/DrPepperSnapple or Twitter.com/DrPepperSnapple. For more information on DPS’s philanthropic efforts and sustainability goals, visit www.dpsgsustainability.com. Founded in 2014, Closed Loop Fund is a social impact investment fund that provides cities access to the capital required to build comprehensive recycling programs. Closed Loop Fund aims to invest $100 million by 2020 with the goal to create economic value for cities by increasing recycling rates in communities across America. Closed Loop Fund brings together the world’s largest consumer product, retail, and financial companies committed to finding a national solution to divert waste from landfills into the recycling stream in order to be used in the manufacturing supply chain. In addition to Dr Pepper Snapple, other key supporters include 3M, Coca‐Cola, ColgatePalmolive, Goldman Sachs, Johnson & Johnson Family of Consumer Companies, Keurig Green Mountain, PepsiCo and the PepsiCo Foundation, Procter & Gamble, Unilever, Walmart and the Walmart Foundation. For more information, visit www.closedloopfund.com. 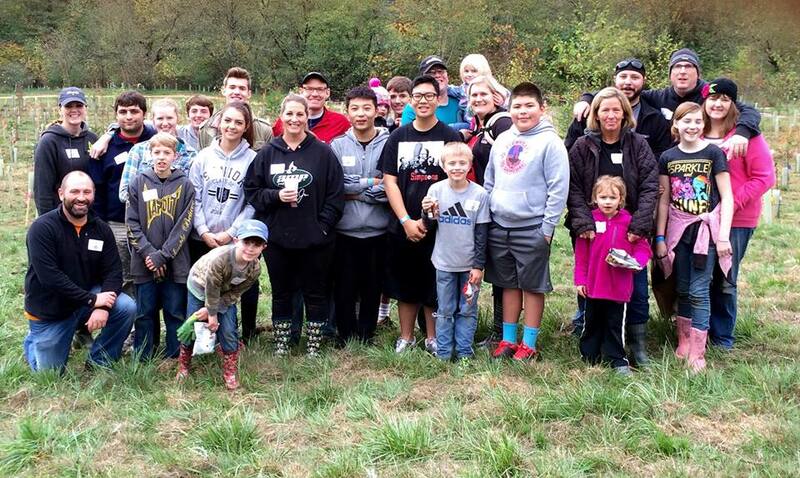 At Keep America Beautiful, we want to ensure that beauty is our lasting signature. A leading national nonprofit, Keep America Beautiful inspires and educates people to take action every day to improve and beautify their community environment. We envision a country where every community is a clean, green, and beautiful place to live. Established in 1953, Keep America Beautiful provides the expertise, programs and resources to help people end littering, improve recycling, and beautify America’s communities. 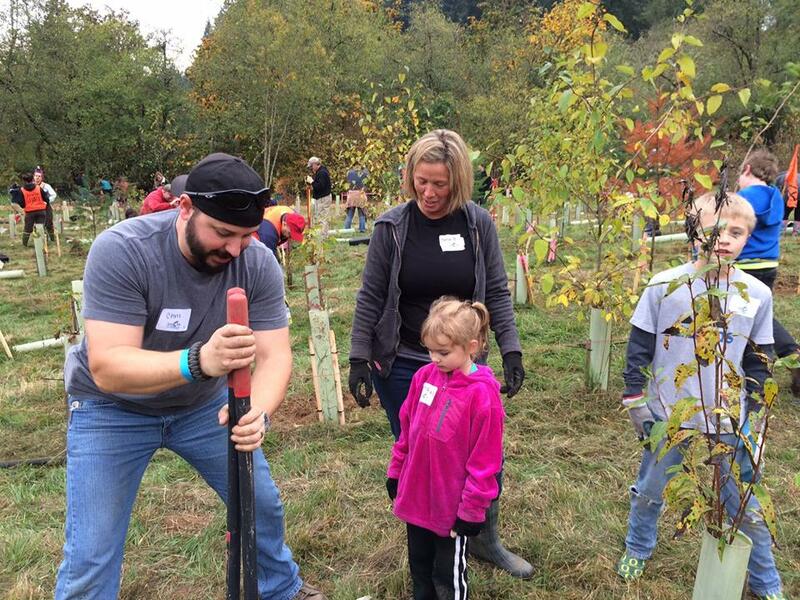 The organization is driven by the work and passion of more than 600 community‐based Keep America Beautiful affiliates, millions of volunteers, and the support of corporate partners, municipalities, elected officials, and individuals. To learn how you can donate or take action, visit kab.org. Follow us on Twitter and Instagram, like us on Facebook, or view us on YouTube. A warning label that suggests beverages are a unique driver of serious health conditions such as diabetes and obesity is inaccurate and misleading. Consumers want factual information to help make informed choices that are right for them, and beverage companies already provide clear calorie labels on the front of our products. The Washington Beverage Association actively opposes H.B. 2798 as it unfairly singles out our industry by placing warning labels on sugar-sweetened beverages and it places a tremendous burden on businesses in Washington that exists nowhere else in the country. Our members are meeting with their local legislators and working to ensure a better understanding by our representatives in Olympia about why H.B. 2798 is bad for Washington state. The beverage industry is partnering with groups such as the Alliance for a Healthier Generation and First Lady Michelle Obama’s “Let’s Move!” program to provide consumers with the information they need to make informed choices and adopt a balanced lifestyle. We’ve included links below to just some of the materials our members are sharing. Matthew Sixkiller of Ridgefield has won the 2015 Core Values Award from Corwin Beverage Company. The award honors employees who demonstrate the Ridgefield-based company’s core values each day. Company core values are: Empowerment: Encourage passion for solutions, Education: Never stop learning, Community: Supporting the community that supports us, Integrity: Do what’s right and Customer Service: Deliver as promised. Sixkiller has been an employee since 2014 at Corwin Beverage, where he works in the day warehouse. The award was announced at the Corwin quarterly, all-company meeting at the firm’s Ridgefield headquarters. Employees are nominated and chosen by Corwin employees. Corwin Beverage is among the top performing beverage bottlers in the Pacific Northwest and a member of the Washington Beverage Association. 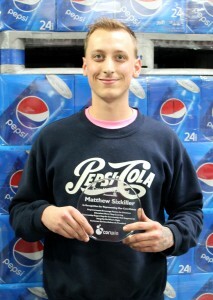 Matthew Sixkiller is the most recent winner of the Corwin Beverage Company Core Values Award. Our Bottler of the Month for November is Swire Coca-Cola, USA! In 2015, Swire Coca-Cola’s Northwest Division, based in Walla Walla, Wash., awarded three $20,000 Coca-Cola scholarships to standout students in the Pacific Northwest. The 2015 Coca-Cola scholarship recipients are Wilson Guo of Moscow, Idaho; Anabel Moreno-Mendez of Umatilla, Ore.; and Annesh Pappu of Pullman, Wash. The scholars also received a customized 7.5oz Coca-Cola can with their name and “Scholar” printed on it. “We are proud to support high school seniors who each have a unique story to share and are strong, young leaders in our communities,” said Jeff Deitrick, Northwest Division Manager, Swire Coca-Cola. 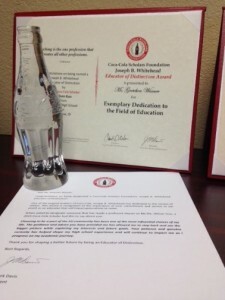 Swire Coca-Cola also provided each of the scholars with the opportunity to recognize an educator who influenced their success, allowing them each to present an “Educator of Distinction” award in the form of a crystal Coca-Cola bottle. In addition to Swire Coca-Cola’s recognition of these three students and their educators, they presented the Walla Walla Rotary Club with a $2,500 donation to continue their support of high school students in their community. Swire Coca-Cola, USA, a subsidiary within Swire Pacific’s Beverage Division, which has two production facilities located in Salt Lake City, Utah and in Fruitland, Idaho and 29 sales centers serving portions of 13 western states. Currently, its franchise territory extends through parts of Washington in the north to Arizona in the south and from California in the west to Nebraska in the east. In April of 2015, Swire Beverages also signed a letter of intent with the Coca-Cola Company granting additional franchise territory in Arizona, to include Phoenix and Tucson. This follows previous territory grants in 2014, which expanded territories in eastern Colorado, including Denver and Colorado Springs. To learn more about Swire Coca-Cola, visit: http://www.swirecc.com/. 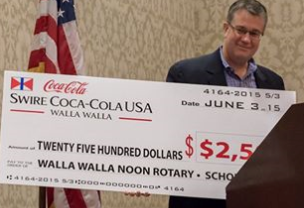 Northwest Division Manager, Jeff Deitrick, presents a $2,500 check to the Walla Walla Noon Rotary Club, which provides scholarships to Walla Walla valley students. Coca-Cola Scholars Foundation / Joseph B. Whitehead Educator of Distinction Award, crystal Coca-Cola bottle and personal letter is presented by the Coca-Cola Scholar to their teacher. Corwin Beverage Gears Up For Its Annual Tuition Toss! Our October Bottler of the Month is Corwin Beverage Company, a fourth generation family-owned business that has sold beverages in Southwest Washington since 1941. The company has grown from one truck and three employees nearly 70 years ago, to over 100 trucks and more than 100 employees today. Corwin has established a long tradition of award-winning sales and service. 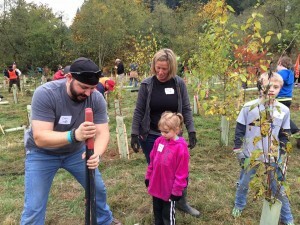 In the Vancouver community, people know Corwin as the “Pepsi people.” They are active in supporting the communities in which they work through scholarships, partnerships, donations and community service activities. 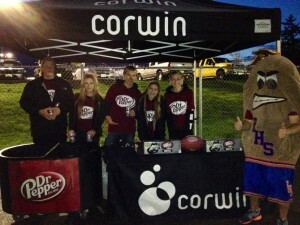 This month, Corwin is partnering with Dr Pepper for its annual High School Football Tuition Toss. The program provides two local senior high school students with $1,000 each in tuition to be applied to the school of their choice. First, local high schools submit PowerPoint presentations or 30 to 60 second videos on why their school should be chosen for the Tuition Toss. From those submissions, Corwin will choose two high schools as finalists. To build excitement, Corwin will attend a fall pep rally at each school to support attendance at the upcoming game and explain the program. Students from each school will vote on and select four throw competitors for the tuition toss during halftime at an upcoming football game. 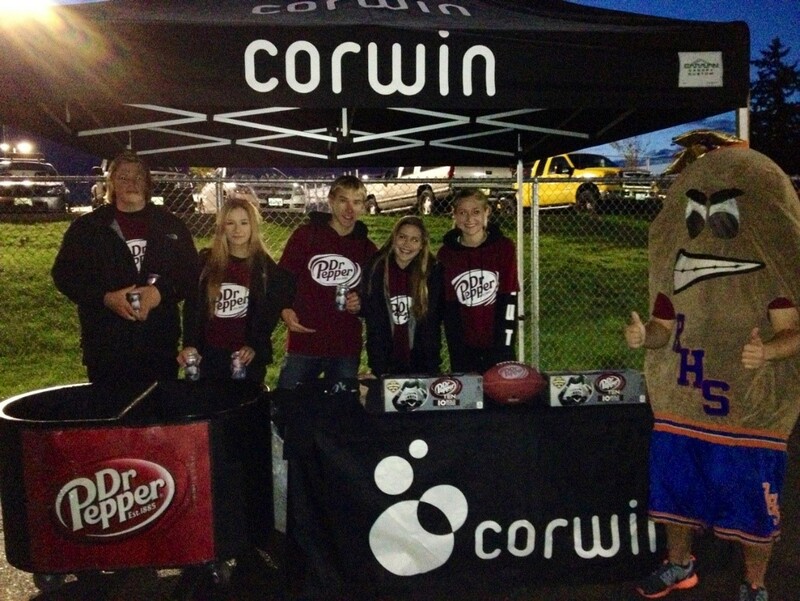 Corwin also provides opportunities for additional students to participate during the day of the event through event set up and sampling of Corwin’s beverage products at the game. This allows local high school students to learn more about the beverage industry and future career paths. It also gives them experience with event planning and management. During the halftime Tuition Toss, competitors set-up at mid-field in front of their respected targets. Each competitor gets the opportunity to throw 12 footballs through the target and the student that makes the most will be presented with a $1,000 check on the field. Last year’s winners included Taylor Holeman, from Ridgefield High School, who is currently attending North Carolina State University and Akari Baba from Prairie High School, who is at Clark College in Vancouver Washington. This year’s winners will be announced in late October. Be sure to like Corwin Beverage Company on Facebook and follow @CorwinBeverage on Twitter and Instagram. Akari Baba, 2014 Winner from Prairie High School. Announcing WBA Bottler of the Month! We are launching WBA Bottler of the Month! Each month we will spotlight a member and showcase who they are and their commitment to the local community. Check back soon to see who our first Bottler of the Month is! 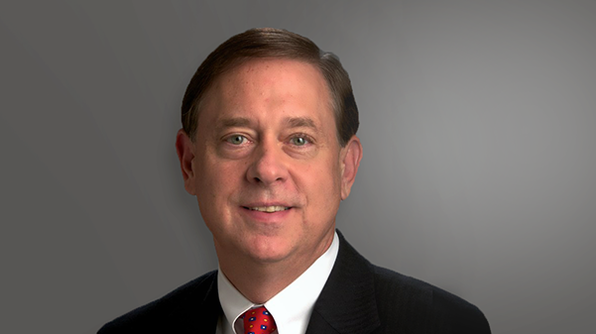 As the Chief Technical Officer of The Coca-Cola Company, I am responsible for developing new beverages, ensuring that all of our drinks are safe and overseeing our scientific research partnerships – and I was dismayed to read the recent New York Times’ inaccurate portrayal of our company and our support of the Global Energy Balance Network (GEBN). The story claimed Coke is funding scientific research to convince people that diets don’t matter – only exercise. In fact, that is the complete opposite of our approach to business and well-being and nothing could be further from the truth. Yes, we fund scientific research through GEBN and we are proud to support the work that scientists such as Dr. Jim Hill and Dr. Steve Blair do – because their type of research is critical to finding solutions to the global obesity crisis. At Coke, we believe that a balanced diet and regular exercise are two key ingredients for a healthy lifestyle and that is reflected in both our long-term and short-term business actions. In fact, not only have we joined with America’s food and beverage industry to promote moderation and healthy eating across the United States, we are doing this globally. Our business strategy is for more people to enjoy our products more often, but with exactly the size, calories and content that fit their lifestyles. And from top to bottom at Coca-Cola, we have called on our people to innovate on more natural products, to create low-and-no calorie options – and to simply make our packages smaller. People are smart and they are buying the products that fit their lives – whether water, juice, diet or full calorie drinks – we are listening and responding. Dr. Ed Hays is the Chief Technical Officer of The Coca-Cola Company.